Do you avoid disagreements? OR, do you turn discord into opportunity? Because my coaching and consulting clients often talk about their conflicts, I compiled this valuable guide for them...and for YOU. Whether you use conflict to build consensus or you just want to run away from it, this free e-book offers ideas to handle conflict productively. Register and log in to download your free copy. 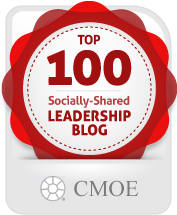 It also suggests a variety of resources you can use to manage conflict effectively. 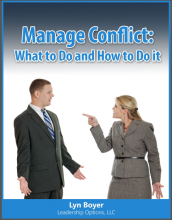 Whether you want to minimize conflict situations or you want to turn volatile disputes into constructive action, this valuable e-book gives you the tools to confront personal and professional conflict with confidence and ease. Lyn Boyer, Shared under Creative Commons Licensing: By Attribution, Noncommercial, No Derivatives. Please use the secure form below to download this FREE E-Book and gain access to this and other valuable information.